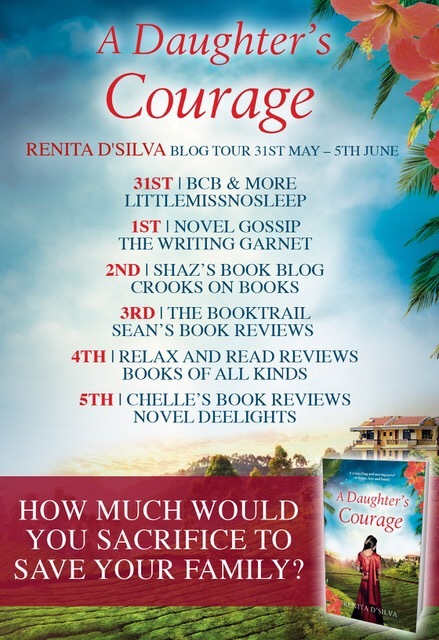 I’m so pleased to be hosting a stop on the blog tour for A Daughter’s Courage today! This book used the type of narrative that I really enjoy, there were several different viewpoints, that at first glance were only linked tenuously, I kept wondering how two women from the 1920’s and two other women from present day would all fit together?! D’Silva weaved these threads together in a breathtaking manner and crafted four amazing characters that I couldn’t help but root for. The writing style was gorgeous and lyrical, D’Silva paints such a stunning picture using vivid, rich imagery. 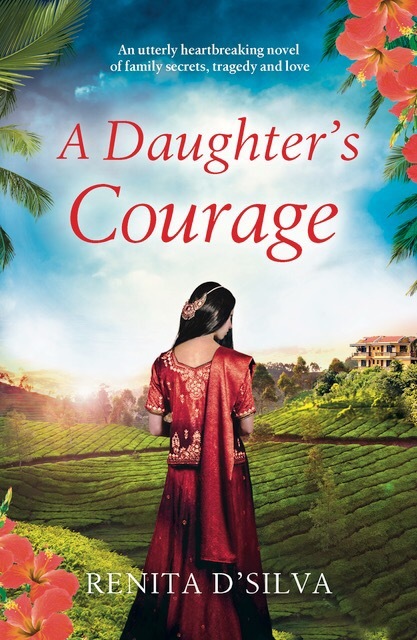 I could clearly envision the landscape of India; the bright colors, the scent of exotic spices, the women swathed in bold saris, it was a very immersive read. Along with a superbly crafted setting, the characterization was outstanding as well. The four women depicted had distinct issues and troubles, but they were all strong, courageous and inspiring. 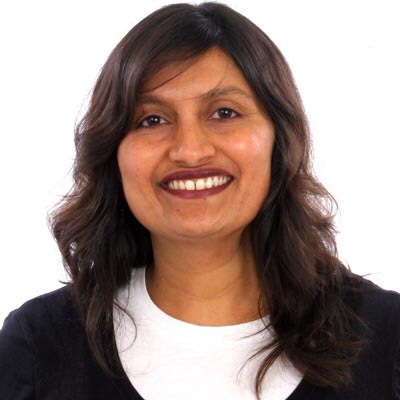 I especially felt a connection to Gowri, she was a young teenager who was a devadasi, which means she had to dedicate her entire life to worshiping and servicing a temple and goddess statue called Yellamma. This was so interesting to learn about the traditions and cultural customs practiced in India back in the 20’s. It was also heartbreaking and disturbing reading her story of sacrifice, but her resilience was amazing. I was mesmerized by this book and I experienced a wide variety of emotions from deep sadness and compassion to gentle smiles through my tears. It was really touching and poignant, just a really beautifully told story that left an impact on me. This was my first D’Silva book but it most definitely will not be my last. I love books on Indian culture. I’m definitely picking this one up. Thank you so much!